"The whorl of that eternal realm Gokula is the hexagonal abode of Krishna. 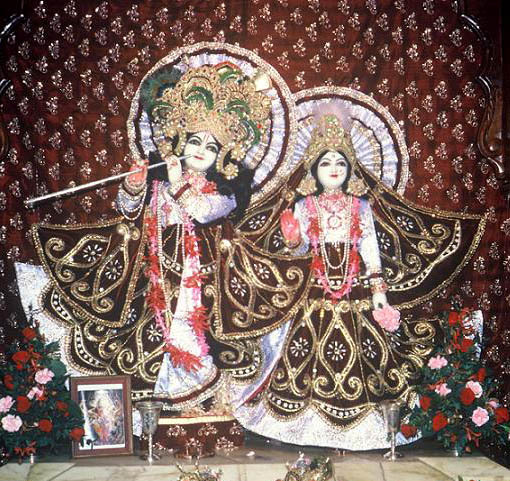 Its petals are the abodes of gopis who are part and parcel of Krishna to whom they are most lovingly devoted and are similar in essence. The petals shine beautifully like so many walls. The extended leaves of that lotus are the gardenlike dhama, i.e. spiritual abode of Sri Radhika, the most beloved of Krishna."